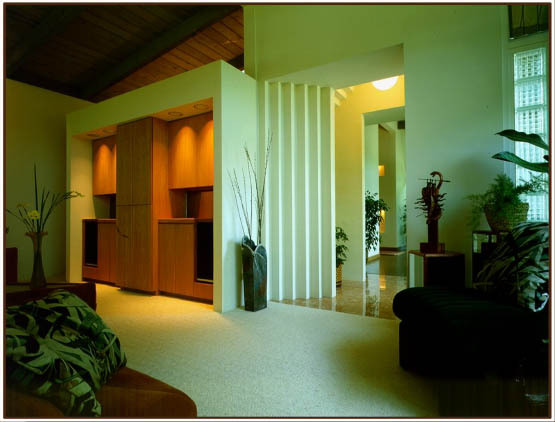 MILLER RESIDENCE. 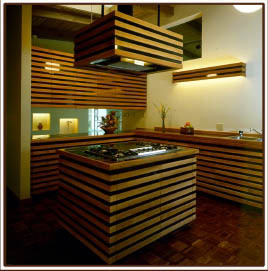 This project was a major renovation of a mundane house with a high-pitched exposed plank ceiling. Though restrained by a modest budget, the end result is one of considerable drama. 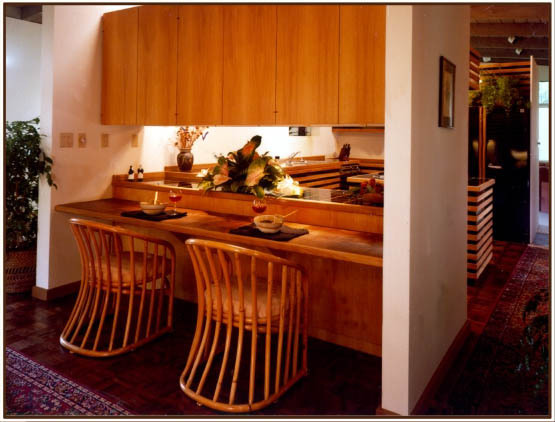 The kitchen had, from a previous renovation, ended up in the middle of the house without access to any windows. 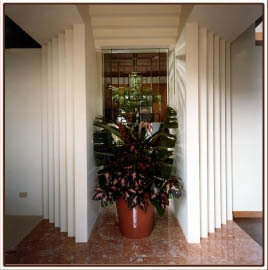 By creating a sculptural foyer featuring a leaded glass window and glass block walls to the sides of the door, this problem was solved. 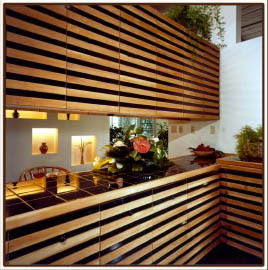 The existing kitchen cabinetry was clad in maple and alternating stripes of gloss black laminate. 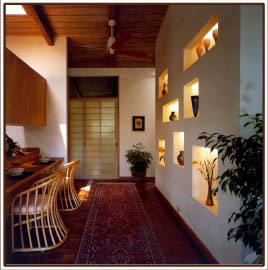 A display wall for the owner's glass collection was created from the back of a closet space in an adjacent room.